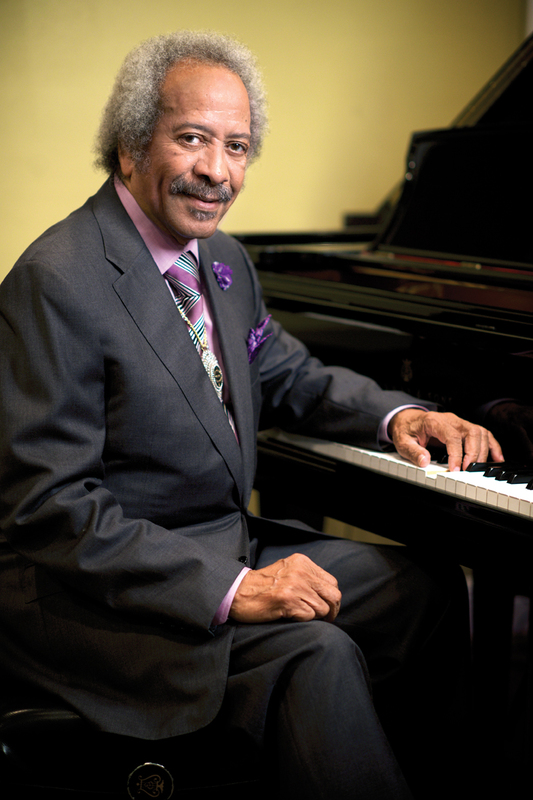 Allen Toussaint, the widely influential New Orleans composer, arranger, producer and pianist, died at age 77 in the early hours of Tuesday, November 10, 2015. He had suffered a heart attack after a concert in Madrid, Spain. Possibly the last posed portrait of the great man, taken in New Orleans on October 14, before Toussaint’s trip to Spain. Photo by Marc Pagani. Mr. Toussaint taught himself to play on his family’s upright piano and began his career early, as the teenage pianist for the Flamingoes, a rhythm and blues band that also included a young Snooks Eaglin on guitar. Self-schooled, he soon picked up gigs—filling in for Huey “Piano” Smith on the road, and with bands at the legendary Dew Drop Inn, the hotel, restaurant and nightspot that hosted national acts like Duke Ellington and Ray Charles. He picked up session work at studios like Cosimo Matassa’s J&M Music Shop, which was ground zero for the development of American rock ’n’ roll, recording early sides from artists like Fats Domino and Little Richard. Dave Bartholomew, the musician and impresario who set Fats’ star on the rise, was a powerful role model for Toussaint. He took those lessons in both art and business with him as he began what would become close to a 60-year career in songcraft, hiring on as in-house talent—writer, producer, arranger—at Instant and Minit Records, the seminal Joe Banashak-owned labels that were early homes to Irma Thomas, Chris Kenner, Benny Spellman, Ernie K-Doe, Jessie Hill, Art and Aaron Neville, Esquerita and many others. “That was the genius of him,” Irma Thomas remembered. “He had a chance to learn our personalities, with all of us gathered in his parents’ living room. But he had to have that talent.” Did she and her contemporaries know that they were establishing a sound that would become the bedrock of American music? After returning home, Allen Toussaint struck out on his own, establishing a production company, a brick-and-mortar studio—Sea-Saint—and several independent labels in partnership with the entrepreneur Marshall Sehorn. His partnership with Lee Dorsey, for whom he’d produced the playful “Ya Ya” in 1961, was particularly fruitful, he remembered—in fact, he said, it prompted his only deliberate shot at a proper hit. “That was when I got out of the Army in 1965,” he said in 2007. “I wanted to try and get right back in the race. So I wrote ‘Ride Your Pony’.” The upbeat soul shaker landed on the Billboard top ten. The Sea-Saint years were a new and fruitful creative era for Toussaint. In the 1980 film by Stevenson Palfi, “Piano Players Rarely Ever Play Together,” he was featured as a representative of the New Orleans piano tradition alongside Professor Longhair and Isidore “Tuts” Washington. Toussaint was the young gun of the three, showing how he had absorbed and understood the older “junker” blues style, boogie-woogie and ragtime, and made it a home within a modern sound. That understanding—a bridge between the deep, soulful traditions of New Orleans and contemporary pop—made him an attractive producer. His talent drew the likes of Paul McCartney, who recorded 1975’s Venus and Mars at Sea-Saint, and Labelle, who waxed their 1974 Nightbirds—which included the sassy megahit “Lady Marmalade”—there. 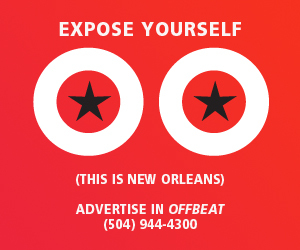 He also helped to shepherd one of the most important New Orleans bands of the second half of the twentieth century into the spotlight, via Sea-Saint. The Meters became the studio’s house band, developing a greasy, gritty style that would define Southern funk and go on, through samples, to become an anchor of hip-hop. The ’70s also saw Allen Toussaint emerge as a solo artist for the first time since his 1958 album of instrumentals, The Wild Sound of New Orleans, which had been released under the name “Tousan.” He dashed off a trio of smooth soul albums: 1971’s self-titled, 1972’s Life, Love and Faith and 1975’s Southern Nights. There were simmering passions on those albums. Songs like “Who’s Gonna Help Brother Get Further” and “Yes We Can Can” were anthemic calls for unity under a sophisticated gloss of sizzling funk and warm country soul. In the ’80s, his solo output tapered off, but he continued to work with musicians through his New York–based NYNO label. Both the songs he recorded solo and those he wrote for others were covered extensively: “Fortune Teller,” which he wrote for Benny Spellman’s baritone, was taken on by the Rolling Stones, the Hollies, the Who and many others, including Robert Plant and Alison Krauss on their Grammy-winning 2007 collaboration Raising Sand. Both the Judds and famously, Devo, took on his Lee Dorsey composition “Working in the Coal Mine.” Lowell George, Bonnie Raitt and a slew of others interpreted his compositions over the years. Perhaps the most famous of those was Glen Campbell, who hit the top of the charts in 1977 with his cover of “Southern Nights.” Campbell’s whomping country rave-up was miles away from Toussaint’s own version, which in recorded form was delicate and ruminative, running his voice through a Leslie speaker that gave it a sense of coming from a dreamlike, faraway place. Live, Toussaint kept the song in his set, and tended to draw it out with a lengthy, spoken memory about life in rural Louisiana, a spell-casting presentation that felt like a magic-spangled key to what the musician held in his heart. One of the most famous of Allen Toussaint’s interpreters became a collaborator: Elvis Costello, a fan of Toussaint’s who met the man backstage at a marquee Katrina benefit in New York City in the first weeks after the storm. 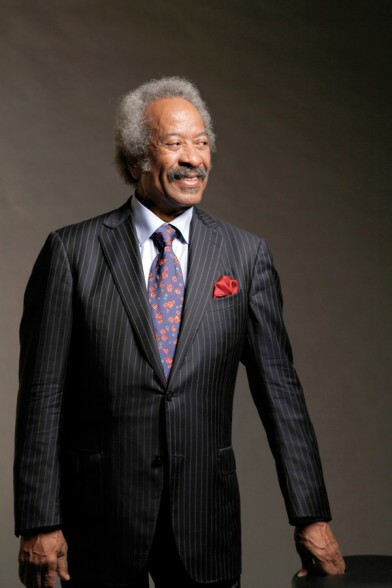 Allen Toussaint was staying in the city after his home and studio had flooded; during his time there, he would begin playing regular solo concerts at Joe’s Pub, a venue that would remain a favorite for the rest of his life. Costello and Toussaint came together at Piety Street Studios in New Orleans, at the end of 2005, to make an album—The River in Reverse—that included the British star’s favorites from the Toussaint catalog, including “Who’s Gonna Help Brother Get Further” and “Freedom for the Stallion,” as well as new collaborations, like the wrenching title track and “Ascension Day,” a minor-key reworking of “Tipitina” with new words from Costello. 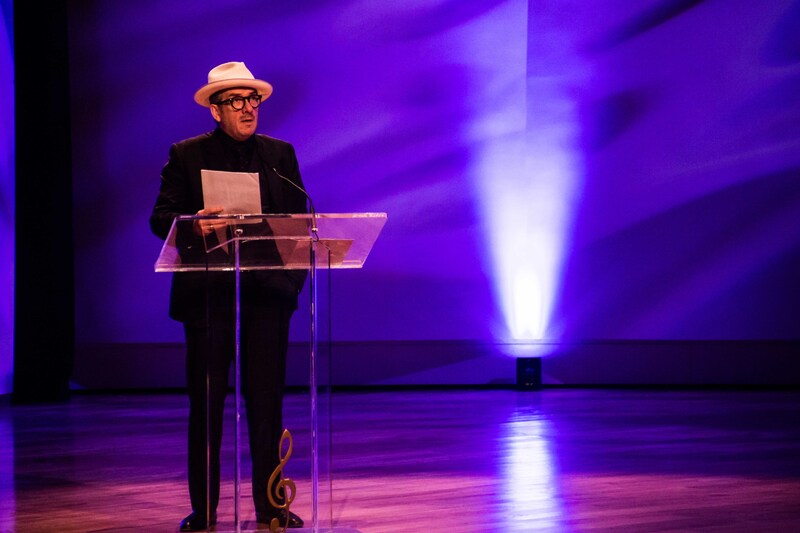 Mr. Costello was preparing for the last event of a book tour, an evening in conversation with Rosanne Cash at the Brooklyn Academy of Music, when he heard of his friend and collaborator’s death. The program for the evening was altered to pay tribute to Toussaint, he wrote in an email. “Of course we prefaced the event entirely with Toussaint music, then dimmed the lights and ran my favourite piece that we performed together,” he wrote, “a short filmed account of ‘The Greatest Love’ with just Allen’s beautiful piano and our two voices. It was shot during our appearance together in “Treme,” the HBO dramatic series set in early post-Katrina New Orleans. “It was hard to speak of A.T. at all on-stage last night and certainly impossible to think of him in past tense but the warmth of the ovation for the song and the hush during the few words I did manage let me know how many people felt as I did in that moment,” he wrote. The River in Reverse was nominated for a Grammy award, and Toussaint toured the world with Costello to promote it. When he returned home, he continued to enjoy public life. 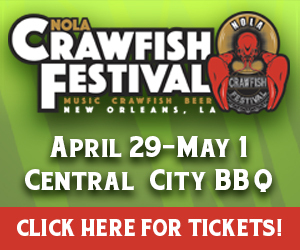 He played a regular slot on the Acura Stage at Jazz Fest, usually in the early afternoon, which kept his schedule open for guest appearances with headliners. Driving himself around town in one of his two distinctive cars, a gold Rolls-Royce with the license plate “PIANO” and a blue Benz with a plate reading “SONGS,” he attended festivals and concerts, strolled between galleries and shops, and dined out frequently with friends. He became a genial, though reserved, local ambassador, always splendidly dressed—and always wearing his trademark bright socks under leather sandals—stopping to talk with any fan or admirer who wanted a photo with him. Allen Toussaint’s last album was the 2009 Joe Henry-produced The Bright Mississippi, an exploration of, for the most part, early New Orleans jazz that took on the work of Jelly Roll Morton and Sidney Bechet. According to Nonesuch, the label that released The Bright Mississippi, Henry and Toussaint were at work on a follow-up at the time of Toussaint’s death. The album will be released posthumously, in 2016. Among the many accolades Mr. Toussaint collected over the years are the National Medal of Arts, awarded by President Obama in 2013; the Trustees’ Award, from the Recording Academy, in 2009; induction into the Rock and Roll Hall of Fame, in 1998; an OffBeat Best of the Beat Lifetime Achievement Award, in 2005, and several other Best of the Beat Awards, including Artist of the Year, Album of the Year, Song of the Year, Pianist of the Year and for four years in a row, Producer of the Year. He has been inducted into the Louisiana Music Hall of Fame, the Blues Hall of Fame and the Songwriters Hall of Fame. 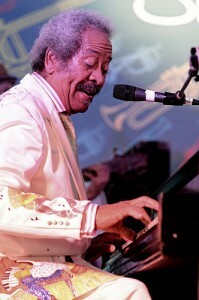 Allen Toussaint is survived by his two children, son Reginald and daughter Alison, and by several grandchildren.